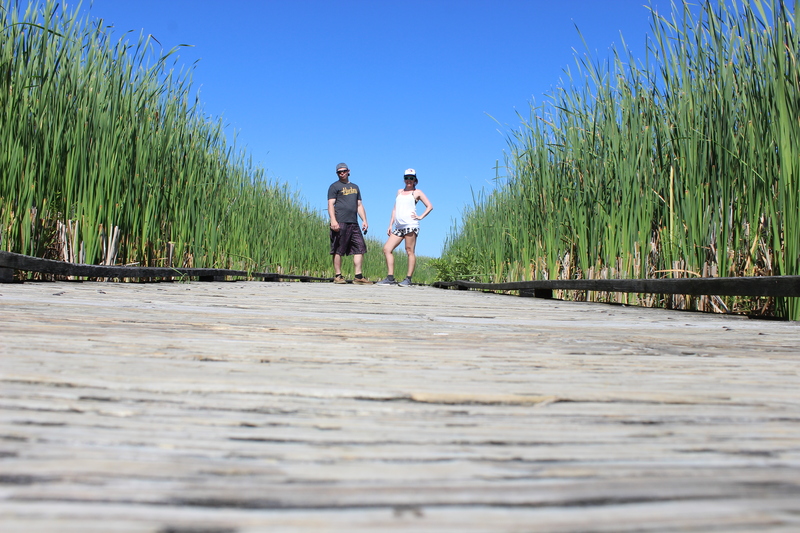 On Canada Day long weekend we headed down to Southern Ontario to visit Point Pelee National Park. Perfect opportunity to finally use our Discovery Pass for free entrance! 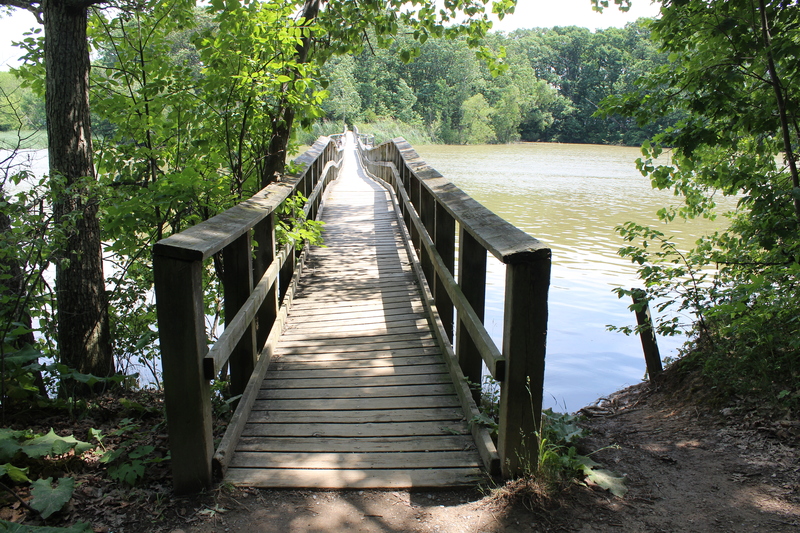 This is one National Park that you can’t camp in so we booked a campsite at Wheatley Provincial Park which is only a 20 minute drive away from Point Pelee National Park. BTW camping with tarps (BEST THING EVER). Long weekends have been pretty rainy here in Ontario this year and we learned our lesson after camping on the May long weekend. I am happy to report that thanks to this beautiful large tarp captured below – our tent and our items inside stayed bone dry all weekend! Although the campsite was totally open to the ones beside ours, we made some new friends and also had a great spot right by the marsh. 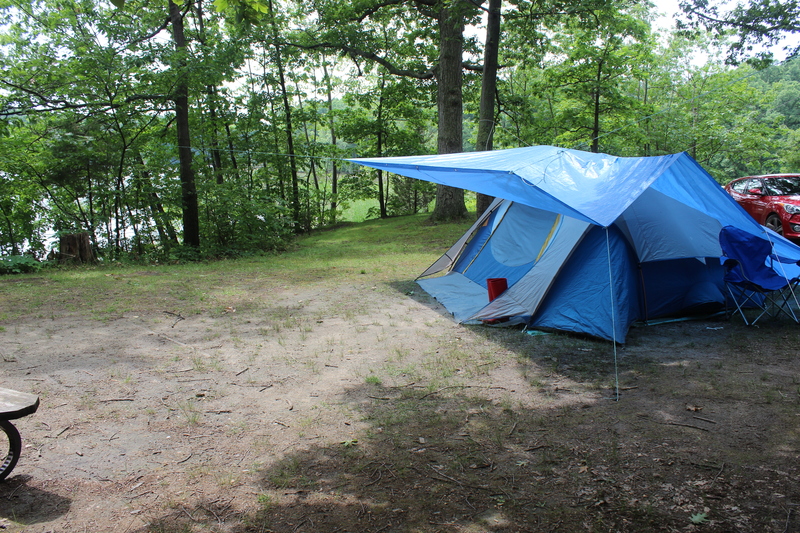 One thing I will say about this campground compared to the other Ontario campgrounds that we’ve been to is that it’s a bit more of a “roughing it” situation. Vault toilets (with sinks!) are the only facilities within a short walking distance. The comfort station is a close drive but even those are a bit outdated and I found weren’t maintained as frequently as other places we’ve been. Wheatley does have a beach, albeit small and they also have alot of great picnic areas close by. 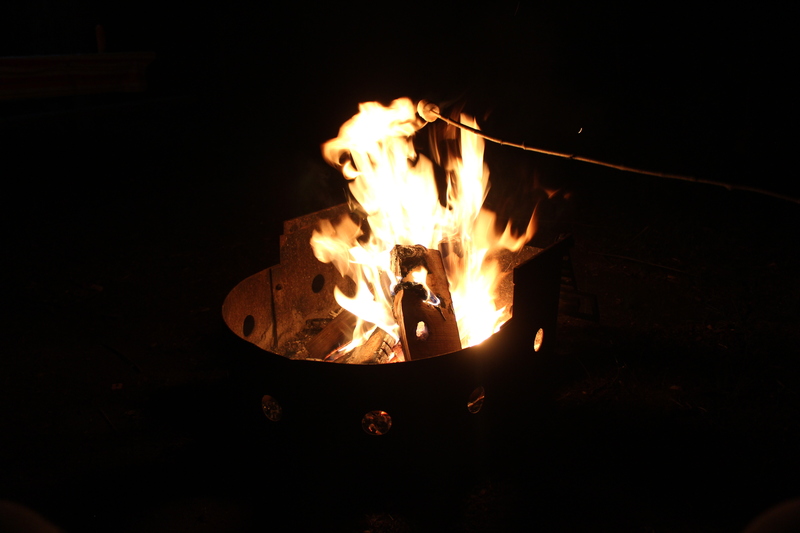 Highlight of camping – being able to see a fully starry sky while sitting fireside and roasting marshmellows! 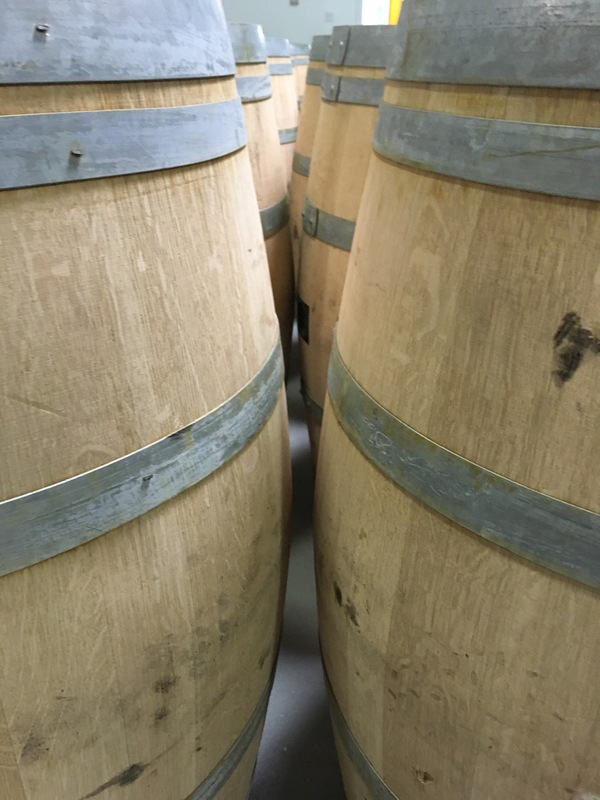 One highly recommended spot while down in the Point Pelee area is a stop at the Pelee Island Winery. They have daily wine tastings and winery tours! Lucky enough for us, because we went on the Canada Day holiday, they were giving their wine tasting and tours for free (normally $5). The tour we went on was great! It lasted about an hour and involved a wine tasting of about 5 different wines as well as tour through their production side. The host was very knowledgeable and pleasant! 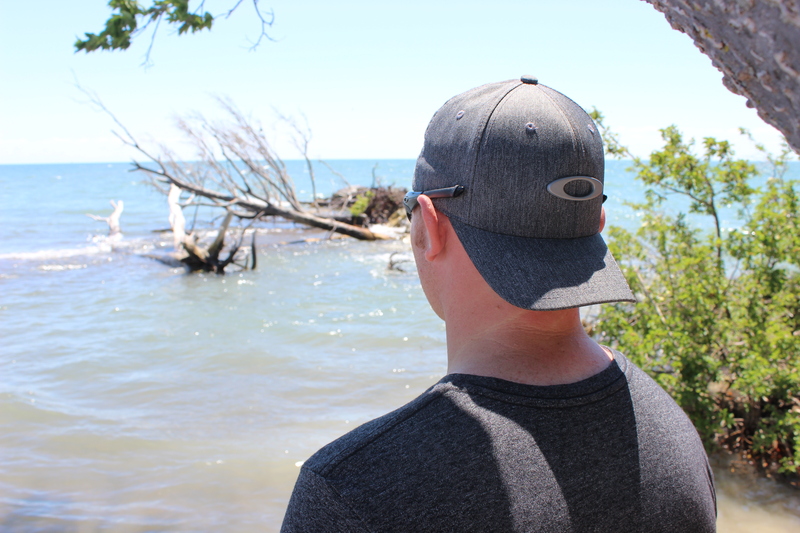 One thing to note before heading down to the Point Pelee area, if you’re wanting to head to the island – plan ahead! If you’re planning on taking a car on the ferry over to the island you should definitely book ahead. Unfortunately we tried to book the day before while we were down there and they were sold out (note for next time!). 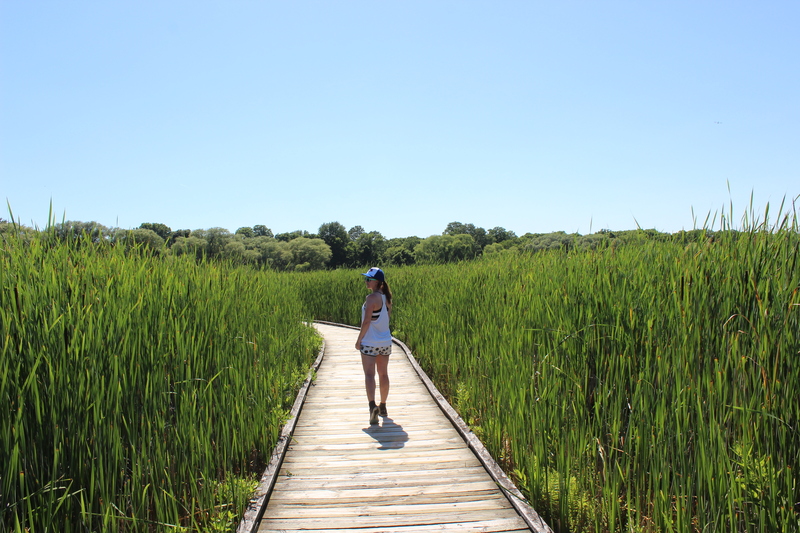 Our Canada Day afternoon was spent exploring Point Pelee National Park! This park is quite big with one main road going all the way through the park from the entrance to the visitors centre. If you want to get down to the tip you have two choices. Walk down the road designated for the shuttle bus, hike down the beach or on the meandering trail through the trees. 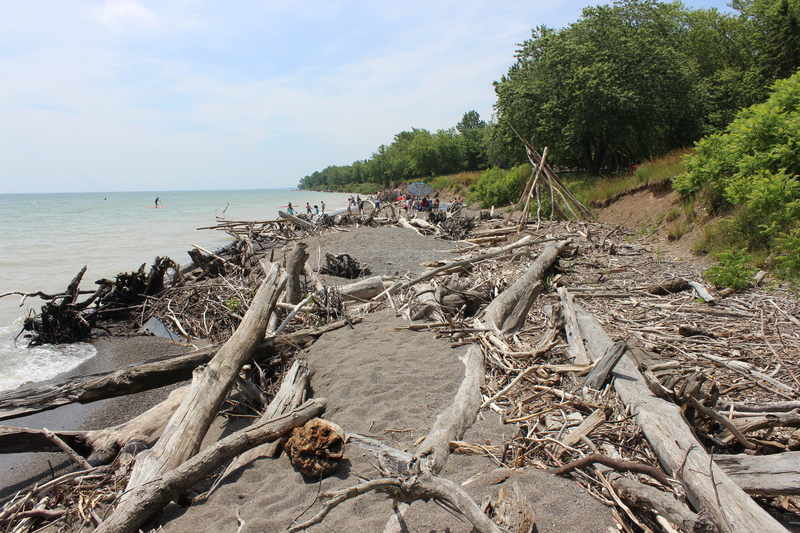 Fun fact – ‘The tip’ at Point Pelee National Park is the southernmost point of mainland Canada. 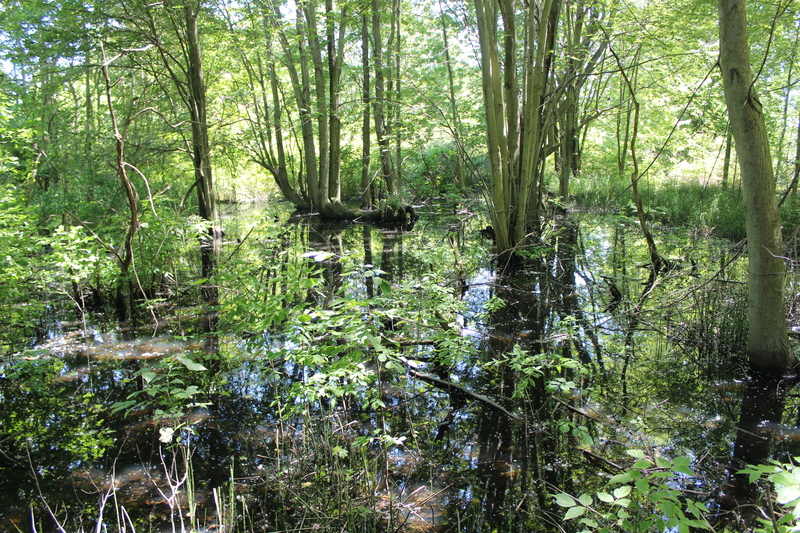 Apart from being surrounded on both sides by Lake Erie, there are alot of marshy areas in the park – including a very old cemetery! Other than ‘the tip’ the second best spot in the park is the boardwalk through the marsh. Along with the view from the lookout! 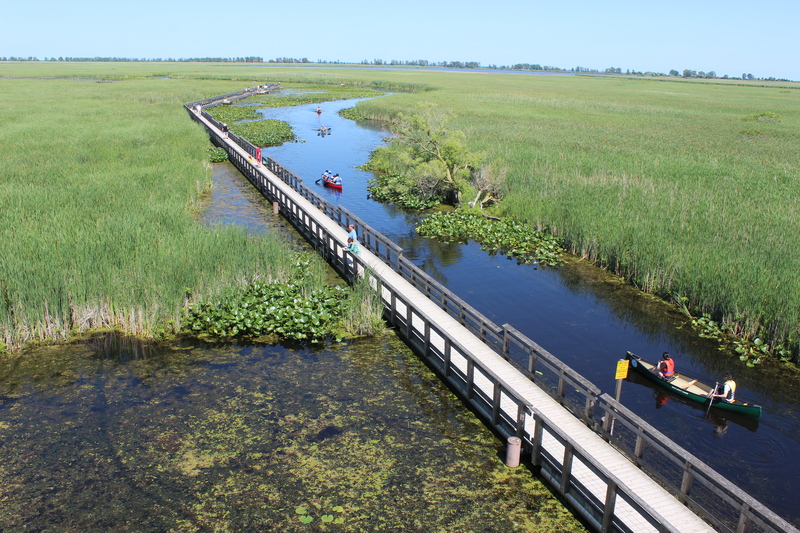 All in all, Point Pelee National park is a great place for a day trip. It’s also a great spot to visit if you’re a hiker or even a non-hiker as it’s pretty accommodating to both types.